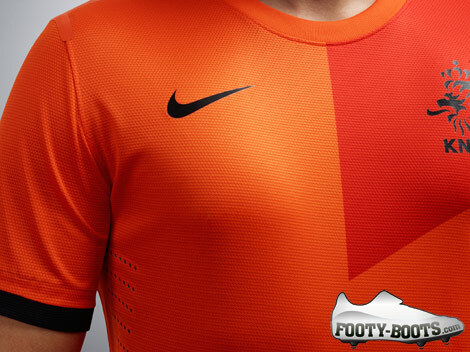 Following on from their hotly-received away shirt back in February, Nike look to complete a Dutch double as they reveal the stylish Holland Home Shirt for Euro 2012. 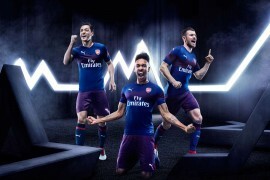 The Dutch have always been celebrated for their enlightened and attractive football, known for ‘total’ control of a match with past masters like Ruud Gullit, Dennis Bergkamp, and the original total footballer – Johan Cryuff. 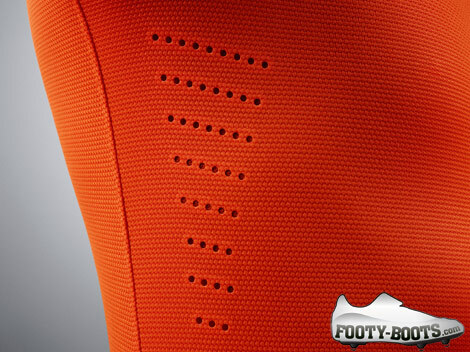 Taking the unexpected asymmetric darker orange patterning and containing it in the geometric shapes of the shoulder and lower body is Nike’s attempt at giving us a Holland Home Shirt that marries Dutch artistry’s style with the Holland National team’s control and precision. Or something. 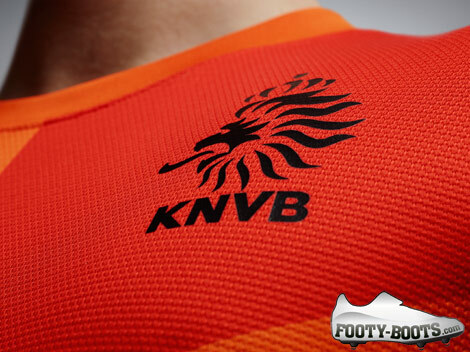 The home shirt is in the traditional Dutch vibrant orange, but now has tonal diamond prints on both the left side of the torso and the right side of the bottom to create a sash effect to echo the design of their first ever kit from 1904. 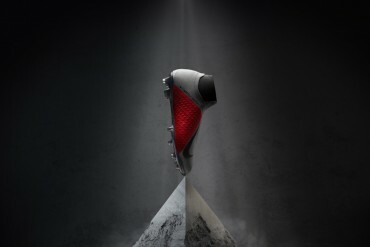 Inside the neck is the graphic “Nieuwe Meesters” (New Masters) which pays homage to the name collectively given to the renowned Dutch artists of the 17th century, while also celebrating the current Dutch side, a hugely talented group of players who have the potential to make their own history. 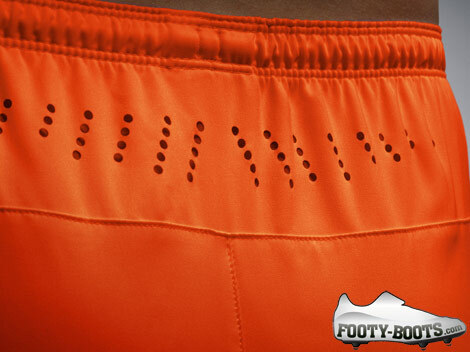 The new home shorts are in traditional orange, while the new home socks, now with improved cushioning for greater comfort, movement and protection, are also in orange, giving the entire kit a strong, clean and unmistakably Dutch appearance. 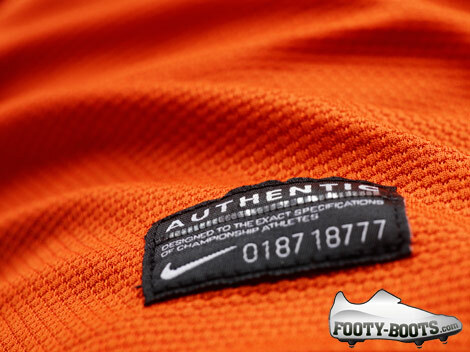 As is the case with all of Nike’s 2012 Federation kits, the Holland Euro 2012 Home Shirt is 23% lighter and 20% stronger than previous iterations, as well as being their most eco-friendly yet. 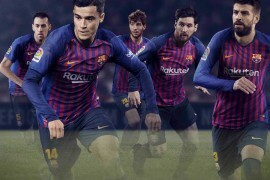 What do you think of this slightly-unconventional shirt design from the big Swoosh?